It happens in the blink of an eye. One minute you’re changing your baby’s diaper and yearning for just a moment’s peace, and the next moment you’re preparing the guest bedroom for a visit from your now-adult child. How did that happen? Your kids will always be your kids no matter if they’re just learning to crawl, heading off for their first day of college or changing their own little one’s diapers. But as your children get older, you no longer have to worry about making all of their decisions or setting boundaries to keep them safe. Of course, that doesn’t mean you stop worrying about them. “Once a parent always a parent and yet what the word ‘parent’ means shifts as kids mature and become adults,” says Kathy Taberner, one-half of the mother/daughter team that founded the Institute of Curiosity, an organization that strives to help families navigate difficult conversations. 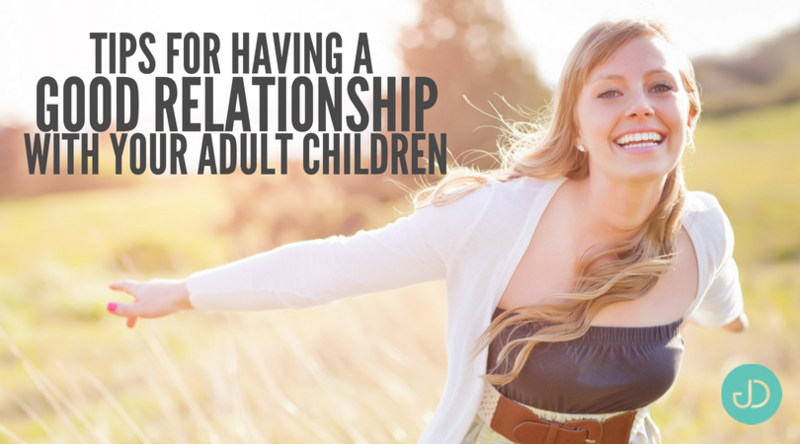 As your kids mature, your relationship with them needs to mature as well. Here are tips for having a great relationship with your adult children. A 2014 poll of young adults from researchers at Clark University in Massachusetts found that young adults today stay in frequent contact with their parents, with 37 percent of 25- to 39-year-olds talking to their parents at least once a day and 85 percent checking in once a week. “Even after they no longer rely on their parents for financial support, parents remain among the most important people in the emotional lives of established adults,” says Clark University research professor of psychology and poll director Dr. Jeffrey Jensen Arnett. As your children become adults, what they need from you more than anything is emotional support. So be prepared to listen and to share in the experiences of their lives. “Although parents still want to be part of their children’s lives, they also need to know how to support them so they show they believe in their kids,” says Taberner. When your kids were little, you may have grown accustomed to having the final word in any disagreements you have with your child. But now that they’re all grown up, it’s more important than ever to show your kids that you respect their viewpoint — even when you don’t agree. This may be the toughest thing you ever have to do as a parent. If your child is lucky enough to find a partner with whom to share his life, it’s likely he now will turn to that person for help in making big decisions, handling conflicts or sharing good news. It can be hard to move to the backseat when you spent so many years as the driver in your child’s life. Sure, you may wish that your child’s partner had a better job, spent less time at work or had fewer tattoos, but your job is to keep those opinions to yourself and love and support your child as he moves on to this phase of his life. “The one exception is when you believe they are in peril, for example a substance problem or an abusive boyfriend or girlfriend,” says Arnett. “Then you need to make your opinion and advice known, whether they like it or not (and they probably will not). It may not do much good, but you have to do what you can,” he added. The last thing adult children want to hear from their parents is anything even bordering on judgement, so “no unsolicited advice!” says Groner. When your kids were little, you had complete control over family activities. But now that your children are older, you need to take cues from them to find new ways to connect and communicate. You certainly don’t have to pretend to like bungee jumping, vegan-fusion cooking or their favorite band if you truly don’t. In fact, your new experiences can be as simple as regular dinners at a favorite restaurant. But hey, if you’re up for it, now is a good time to step out of your comfort zone to try different experiences and find new ways to bond with your children. So maybe sign up for that 5K or Tae Kwan Do class together. You never know what might happen! Heading out on the town is something we might take for granted before we have children, but once that first bundle of joy arrives everything changes. New parents often feel like they’re abandoning their child – even if it is only for a few hours. Those that are well off can afford to hire a nanny, but that doesn’t mean they feel good about it. Hiring a qualified service with a strong reputation for hiring the best people can make the transition a lot easier. 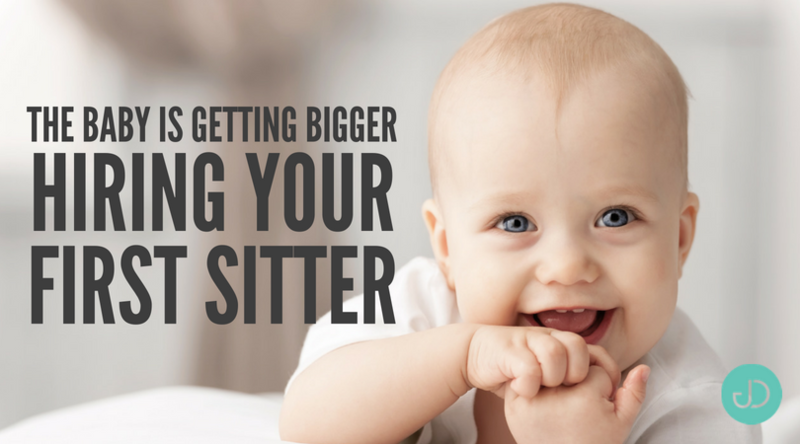 Hiring your first sitter on your own is a daunting task. A good parent doesn’t want to leave their small baby with just anyone, but they also don’t have the time or expertise to perform a full background check. If you have enough disposable income, there are great services that can do the legwork for you, such as Not Just Baby Sitters (NJBS), which specializes in catering to wealthy and influential clients in New York, Los Angeles, and San Francisco. This type of service may be the next best thing to having your mother-in-law living close by. Instead of hiring the neighbour’s teenage daughter or someone you’re even less familiar with, parents who use this type of service are hiring an actual professional. It’s stressful enough leaving your baby alone for the first time. Leaving them with someone that has all the right credentials can help with peace of mind. If you do opt for a company like NJBS, it’s important to learn as much as you can about their background. Unfortunately, just about anyone can create a professional looking website these days so that shouldn’t be your only criteria. A good place to start is an online search to try to establish their reputation. A service that’s been around for a while should have plenty of online feedback. Word of mouth is another good way to learn about a babysitting services background. If you have a friend, family member, or neighbour that’s used a professional service before they may have some valuable insight that will make your decision a little easier. If you’ve done a bit of homework into a service and you don’t like what you’ve heard, it’s normally a good idea to trust your instincts. According to Red Cross statistics, 55 percent of parents end up staying home because they’re just not happy with the options available to them. What really sets a service such as the one offered by NJBS apart is the intensive screening process they put all of their employees through. It doesn’t matter if you’re hiring a sitter for a night on the town, or a live in nanny – they all go through the same rigorous process. The overwhelming majority of parents also want a babysitter that’s certified in CPR and First Aid in case of emergency. The teenager next door may have these qualifications, but there are no guarantees. With a professional service, you may pay extra, but the person looking after your child will be trained in these essential life saving techniques. There are many ways to tell if an agency really has the best interests of its clients in mind and it goes beyond hiring employees with CPR and First Aid. A good company will also know a lot about the background of each one of their employees. At NJBS, each potential applicant must fill out a comprehensive application, they must be college educated, and they must be willing to go through a full background check. They’re also required to complete an essay so that the company can gain a little insight into their personality. If they fail in any area, they aren’t hired. Even knowing that a sitter has gone through such a careful hiring process may still not be enough to convince some parents of young children that it’s all right to spend an evening away from their child. They still have to feel comfortable with the person they’re hiring. That’s why a professional service is probably a better option if it’s in your budget. NJBS for example, sits down with individual clients and presents several different options. The client then gets to interview the potential sitter themselves to find out if they feel right. No matter how qualified a sitter is they still have to have a personality that the parent feels comfortable with. Otherwise that perfect night out is likely to turn into a nightmare of worry and stress. Having a baby is a life-changing event and it should be a positive one. That doesn’t mean parents shouldn’t be able to have a little personal time occasionally. They can only do that if they feel comfortable leaving their newborn with a babysitter and by hiring a professional babysitting service with a reputation for quality that is possible. More than 90% of two-year-olds in the United States have an online presence. As it becomes more and more typical for parents to publish photos and information about their kids on social networks like Facebook and Instagram, conversations around the importance of privacy and “the perils of sharenting” are growing, too. And of course we’re concerned! We can’t open our phones without seeing an article about social media stranger danger or cyber-bullying. Yet despite the fact that 72% of parents are concerned about maintaining their children’s privacy online, 55% of parents whose child has a social media account allowed this when the child was under the age of thirteen, according to the Family Online Safety Institute. 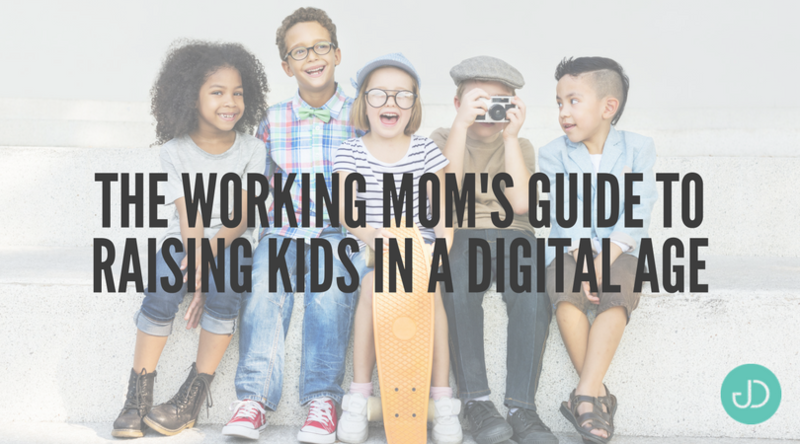 As the founders of a social media agency, it’s likely not surprising that my husband Dave and I have allowed our kids to explore the digital world from a young age. Our thirteen-year-old is constantly using Snapchat. Our nine-year-old is obsessed with Music.ly. And while our two-year-old isn’t on social media just yet, he does watch Facebook videos of himself on loop. Participation: Imagine that your twelve-year-old daughter comes to you and says, “I want to go to Brooklyn. I’m going to a place you’ve never been. And I’m going with a friend you’ve never met. Okay?” Um, not okay. This scenario is analogous to letting your kids use social networks that you haven’t used yourself. If you’re going to let your child onto Snapchat, you should understand how and why your child will use it. Now, I’m not telling you to take selfies of yourself vomiting rainbows all day, but you do need to see for yourself what it’s like so that you can increase your comfort level and arm yourself with knowledge. My pro tip: Create a “parent squad” to experiment with social media firsthand in a safe space. Open Communication: Whatever the situation, the best way for parents to deal with issues is to create as much open communication with their children as possible. One way to establish a relationship based on open dialogue is to create a “family contract.” This is an agreement that clearly states the rules and consequences of social media use. (The Family Online Safety Institute provides great sample contracts to help you get started.) But with communication, it’s not just about the rules, it’s also about the feelings that social media brings up. When we were kids, for example, if we didn’t get invited to a birthday party, we weren’t reminded of that over and over again on Instagram or Snapchat. The openness of social media creates many more challenges for our children, which makes open communication all the more important. Education: Like I said: You wouldn’t let your kids go to Brooklyn if you didn’t know the neighborhood. But what happens when the neighborhood changes week to week? Social media is a fast-moving industry in constant evolution. You have to continuously educate yourself to stay ahead. And the best way to do that is by jumping in and joining the networks your kids are using. There are also other resources I recommend: FOSI.org, CommonSenseMedia.org, DotComplicated.co, SafeSmartSocial.com and CarrieandDave.com. Monitoring: Think back to when you were thirteen. Imagine if your parents knew about every conversation you had at the mall, on the phone or when you passed a note. That’s how it feels for kids today on social media. But here’s the thing: When you had all of those conversations as a kid, it wasn’t at scale, and it couldn’t cause the type of damage that Snapchat and other networks can cause today. There are various ways you can monitor your children’s online activity. At the Kerpen house, we do spot checks. At any point, without warning, I take the phone away and go through everything: I open every app, I look at every Snap, I read every text. And generally, everything I find is pretty harmless, but it gives me the peace of mind I need. Other ways you can monitor include: integrating your kid’s AppleID with your computer; using NetNanny, which acts as a mirroring system for desktop activity; using TeenSafe, which allows you to retrieve deleted texts; using My Mobile Watchdog, which mirrors the entire mobile experience; and using Mspy, which grants you access to your kid’s Snapchat account. Now, maybe you only use these tools when you need them, or maybe you take an always-on approach. When it comes to monitoring, you need to figure out what you’re okay with. This is just one methodology for tackling the challenges of parenting in this digital age. But I hope I’ve given you some of the confidence and the resources to find what’s best for you and your family. Because the real answer to all of this is to do what makes you feel comfortable. That’s it. I need a personal assistant. 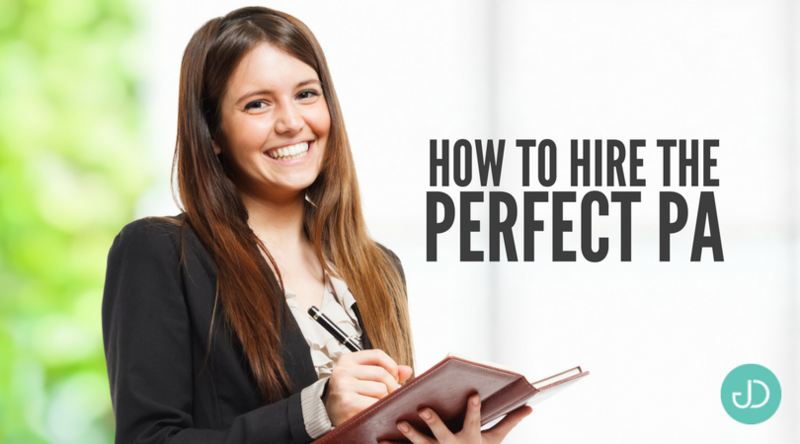 What’s the secret to making the relationship work, and do you have any tips on how to hire the perfect PA? Business colleagues, regular visitors and my closest friends are able to sum up the attributes of an ideal PA in one word: “Christine”. Christine ismy personal assistant, has worked in my office for 15 years, but she started with Timpson 20 years before that. On her first day as PA, she already knew everyone in the building, understood the business and connected with our culture. That experience is invaluable, so I advise you to look inside the company, rather than elsewhere. There’s no need, these days, to look for shorthand skills or typing at 120 words a minute; you need someone with patience and personality. It’s vital that you get on with each other – a similar sense of humour helps – and that you find a PA who can cope with you on your occasional grumpy day. Christine has got to know my moods almost as well as my late wife, Alex. They talked together on the phone almost every day. It helps if your PA has your partner’s full approval. She does everything straight away – if I telephone for some information, the email arrives before the call is over. She likes a challenge and takes on any and every task without question, but often doesn’t wait to be asked. She has an uncanny and slightly irritating ability to anticipate my next move before I mention it. A good PA also keeps a tight control on your diary, and Christine sends me away with clear instructions whenever I’m not in the office. It works well as long as I look at my programme, but I still have some embarrassing senior moments, which are totally my fault. Christine also displays a masterclass in patience. Not just when she waits in a call centre queue, but the time (often her own) that she spends helping out members of our extended family, who used to rely on Alex. She, like Alex did, gets a real buzz from helping others. To sum up: look inside your organisation, to find someone with the right personality, who can handle your moody moments, does things straight away, and takes the initiative. I would, however, make it crystal clear that Christine is staying with me. Maybe it’s your first time booking a professional cleaning service, or maybe you’ve been hiring house cleaners for years—in any case, there may be some things you don’t know (or that you may not have considered) that only your house cleaner can tell you. 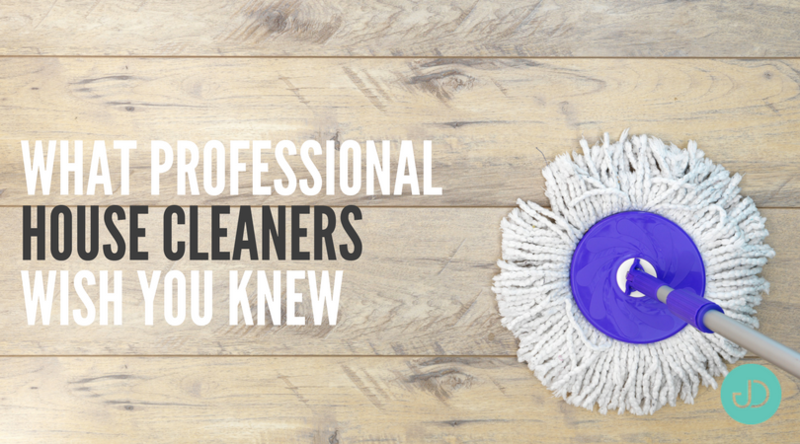 So, we asked professional cleaners to share the things they wish their clients knew before hiring them. If you want to get the best clean possible and be more considerate of the professional cleaners you hire in the process, here’s what you need to know—straight from the pros themselves. Make sure you budget for enough time to get everything done. Be clear on the difference between cleaning and organizing. For best results, tidy up before they arrive. Let them know you have pets ahead of time. Ask questions and look for consistency. Actress Mary-Louise Parker got an unwelcome taste of the dark side of nannies this week when her children’s caregiver was arrested for allegedly using Parker’s PIN to steal more than $30,000 from the Weeds actress. That’s a nightmare scenario, of course, but it’s a reminder of the highly personal nature of the nanny relationship. Back-to-school season is prime time for hiring nannies and soon many families will be entrusting their children to the care of a stranger. It’s something that’s becoming increasingly expensive: Nearly a third of families spend 20% or more of their annual household income on child care, up from 18% in 2014, according to Care.com’s most recent survey of child care costs. But in addition to the financial burden, hiring a nanny for the first time can also be one of the most stressful and emotional decisions a parent will make and, as such, they could be more likely to make mistakes. “It’s the first time they’ve had a baby and now they’re trying to go back to work and juggle everything,” said Tom Breedlove, business development director at Care.com HomePay, which provides household payroll services. And — whether or not you live in a $3 million home or a $300,000 home — parents are dealing with the double whopper of being a parent and being an employer. That’s a lot of responsibility, Breedlove says. “Some people say, “Oh, this makes my head hurt,’” he says. It’s been almost 25 years since then-President Bill Clinton’s Attorney General nominee Zoe Baird lost her shot at the job because of a controversy over not paying a domestic worker’s Social Security taxes (along with two other would-be Clinton appointees). Baird’s name is a distant memory but the phrase nanny taxes has stuck around, and it’s confusing for families, Breedlove said, because it gives the impression that nanny-related taxes are paid on tax day, like income tax is. That’s not correct. Just like your paycheck has taxes for Social Security, Medicare and unemployment taken out of it, so must your nanny’s. The time to set that up is when you hire the caregiver. “When busy families think of taxes, they think, ‘Oh I can deal with it at tax time,’ meaning next March or April. But the problem is, it’s really not a tax issue, it’s an employment issue,” Breedlove said. Care.com has a calculator to help families figure out their payroll tax obligations. How much you pay your nanny depends of course on unique factors including how old your children are, how many years of experience the nanny has, and whether the nanny’s duties include tasks such as cooking, housecleaning and driving children to activities. But where you live also plays a big role. The national average is $28,354 a year ($13.63/hour) But in San Francisco families pay an average of $35,848 a year (roughly $17.23 an hour) while families in Waterloo, Iowa, pay $26,998 (about $12.97 per hour), according to a 2016 survey of child care costs in major metro areas by Care.com. You can get a ballpark idea for rates in your area on sites like Care.com, PayScale, Sittercity and International Nanny Association. But also check in with Facebook groups for families in your neighborhood and local parenting groups such as DC Urban Moms, Berkeley Parents Network, and Park Slope Parents in Brooklyn. Park Slope Parents’ most recent survey of nanny compensation, released in July, found that the average hourly pay for a nanny caring for one child is now $17.63 — an increase of $1.99 since 2015. Parents can save considerably on costs by doing a nanny share where they pay for a nanny to watch their child and another family’s child at the same time. Some families hand their nanny cash or a check every week, and leave Uncle Sam out of the equation; some even say their nannies prefer this arrangement. However, that’s illegal, says Daniel Rafeedie, director of sales and marketing at the household payroll service HomeWork Solutions. Nannies are protected by the federal Fair Labor and Standards Act, which means they must be paid overtime when they work more than 40 hours in a week and they must be paid at least minimum wage, Rafeedie said. Families are also responsible for withholding payroll taxes— sometimes called nanny taxes (see below) and face penalties, including fines, if they don’t. Several states have more stringent employment laws that supersede federal law and require benefits such as paid sick time or, in California, the right to use your employer’s kitchen to cook your own food. For more information on state laws check here. It’s also illegal to hire an undocumented worker, but if you do, you’re still responsible for paying taxes for them, Rafeedie noted. It’s a common misconception that nannies are independent contractors whose wages are reported on a 1099. That’s wrong, and using that form instead of the correct one — a W-2 — can be considered tax evasion, Breedlove said. A W-2 is the correct form because the nanny is an employee of the family in the eyes of the IRS, and the family must withhold Social Security and Medicare taxes. This isn’t legally required, but having one will prevent angst down the road. “You want a well-crafted work agreement that spells out the terms and conditions of employment, including hours, duties, benefits and compensation,” said Rafeedie of HomeWork Solutions, which has a sample contract on its website. When issues such as holidays aren’t spelled out and a question comes up about how much money the nanny is owed, families tend to overpay rather than underpay because they don’t want to anger their caregiver, said Park Slope Parents’ Fox. Families worry an unhappy nanny could lead nannies to give their children less-than-optimal care, Fox said. “There’s this big fear that if I don’t pay my nanny well, it will impact how my child or children get treated,” Fox said. Keeping your nanny informed about whether she or he is meeting expectations will prevent misunderstanding — and surprises — if you have to fire the nanny because they’re not performing well, Fox said. Many families mistakenly assume that their homeowner’s insurance covers medical bills if the nanny gets injured while working, but that’s not the case. If a worker such as a plumber was injured in your house, yes, you would probably be covered under a homeowner’s insurance policy, Breedlove said. But because nannies are “W-2 employees” — the IRS form where their income is reported — the family should also have workers’ compensation insurance. “These families are really looked at as businesses and entities that have liabilities,” Breedlove said. Some states even require workers’ compensation insurance. In New York, families can be fined $200 a day for not having it. As an employer, you’re required to provide your nanny with pay stubs and timesheets, and you’ll need to keep a Form I-9 (employment authorization verification) and a W-4 (tax withholding) on file for them. 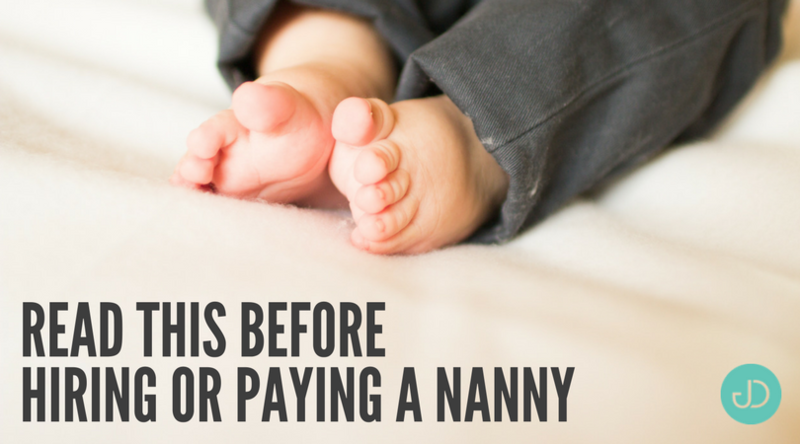 One important reason to do this: if there’s a dispute about whether you paid your nanny correctly, you’ll have proof. Some families that run a business think they can just put their nanny on the company’s payroll, but that’s illegal under IRS rules, according to Breedlove.